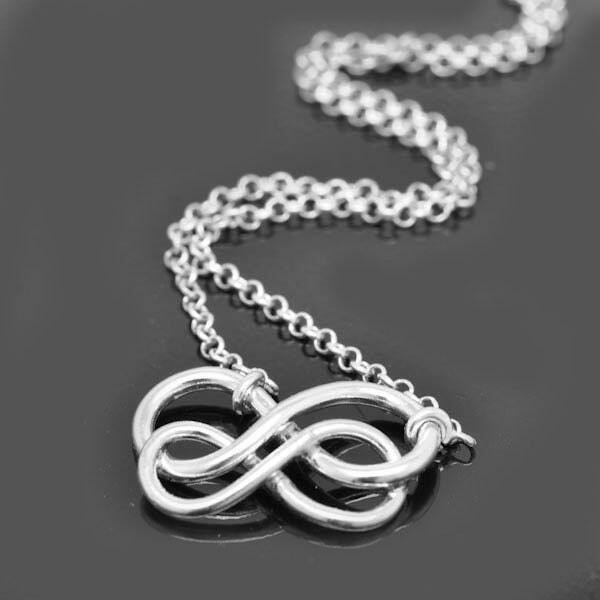 This listing is for one double infinity sterling silver necklace. The measurement of the knot is 20 x 12mm. A interlocking circle necklace. Very simple and elegant double wire made with 925 sterling silver. A gift idea for mom & daughter, best friend,anniversary, birthday, graduate or sweet 16.